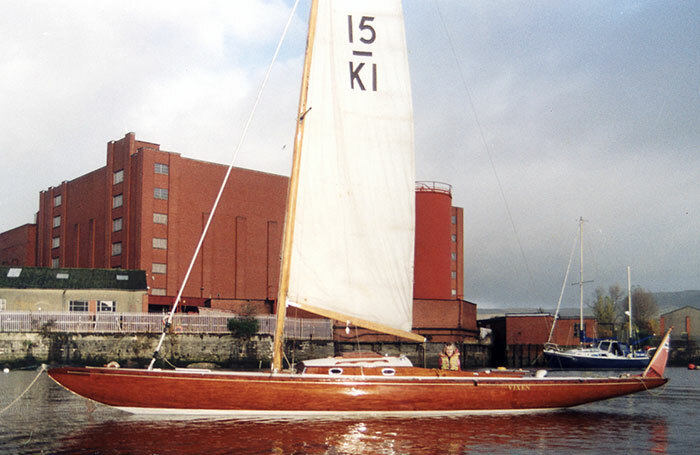 This Swedish 15 square meter class yacht VIXEN was built in 1938 by Kungsfor Boatyard in Stockholm, Sweden. About 49' long, it was wrecked in 1988 on the Firth of Clyde in Scotland, before being rescued by James McIlraith of Renfrew, Scotland. He did much refastening, replaced a dozen planks and frames on the portside, made a number of other small repairs before relaunching her on November 5, 2002. The finish work to get her back to original state was considerable, he writes, adding that Charles E. Nicholson of Camper & Nicholson, once described her as "having a finish that would shame a concert piano". 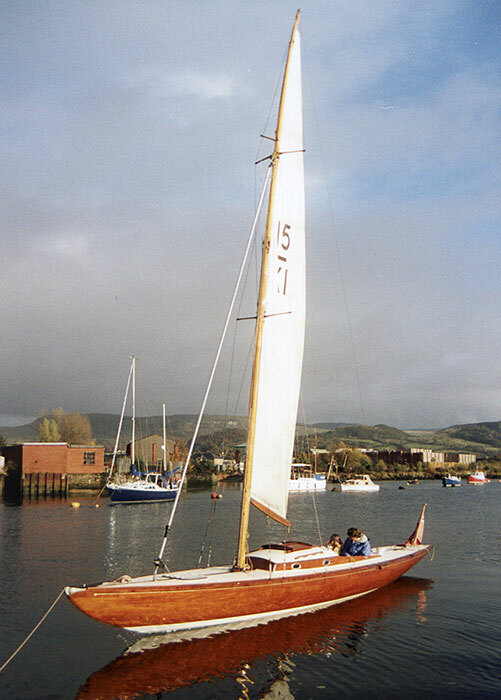 James sails VIXEN on the River Clyde and the Firth of Clyde near his home.